After the Winter boom of press samples, I am finally digging into some of the polishes that I bought for myself waaay back after Halloween. I know. I lag. But I got some really pretty things, and I promise they are worth the wait. 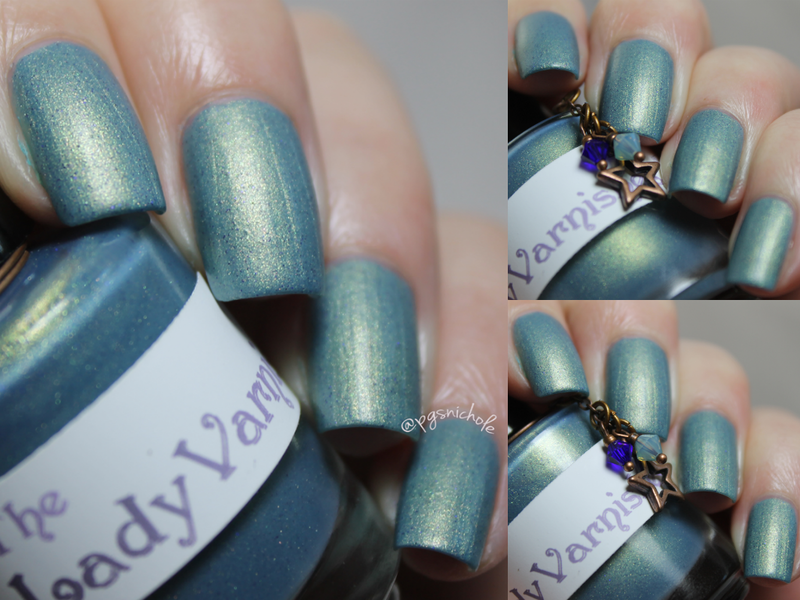 First up is Lune from The Lady Varnishes. 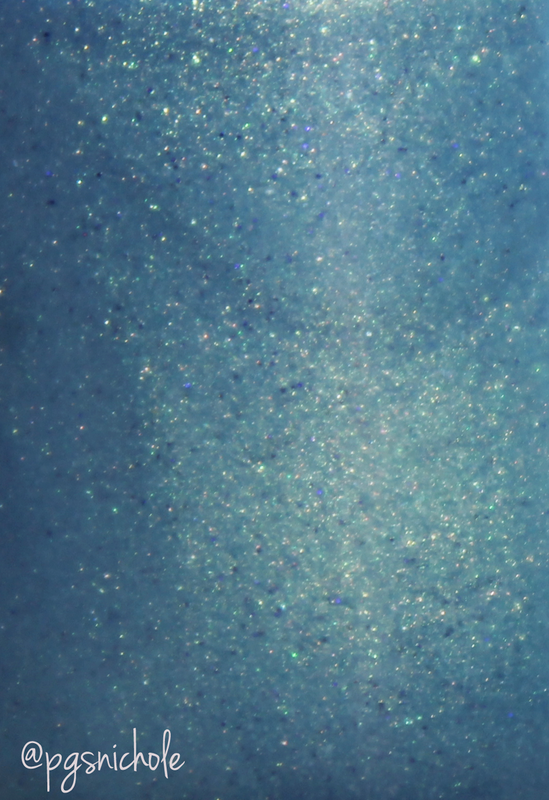 Ever since I got my one (and only) Deborah Lippman polish, I have been on the search for a minty-teal-blue-green-gold...but without the texture and glitter of Mermaid's Dream. It is a lovely color, but it just has far too much going on. I posted in an indie group about possible candidates, and one indie maker replied...but then she just disappeared. I dunno what happened, but I am leaning towards alien abduction. In my continuing effort to focus my fingertips on the indie community, I decided that I would take the $10 that I wasted on Ipsy and buy myself one (or two...shhhh) bottle of polish. This was one of my first purchases. It is perfect. Everything I wanted the color to be. The formula is a little brush-stroke prone, but it really isn't a big deal. I could have fixed it with a sponge quite easily. I only needed three thin coats for a completely opaque layer. I LOVE the glow. LOVE. That tiny gold tone just makes it magical. It is far bluer than the DL, but I think this suits my skintone a bit better. Of course, I had to add a top coat to it. It is a matte polish naturally, and me being me I had to do the opposite. It is still pretty...but the matte. Oh man. I love it. Either way, it is magical. And there she is. Lune. A beautiful minty green matte magical polish. I got one more (because I have no self-control) from this shop, and I will sharing that one soon.